Listen to our founder, Alan Katzman, explain why colleges are looking at your students' social media in the context of college admissions and scholarship awards (Part 1) and then how your students can be using social media to create a compelling digital presence that will help them stand out from other qualified applicants in the college admissions process (Part 2). This video explores how the "business" of college admissions now requires colleges to seek out applicant data that is not delivered to them via the Common Application and explains why 68% of colleges consider social media to be "fair game" in the admissions decision process. 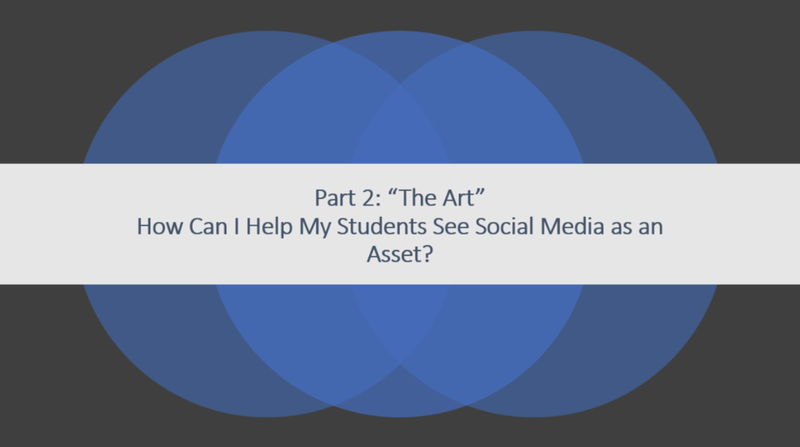 This video explores how students can be using social media to take control of their digital narrative by delivering content that highlights their character, activities, service, interests, and accomplishments to supplement and enhance their college application.